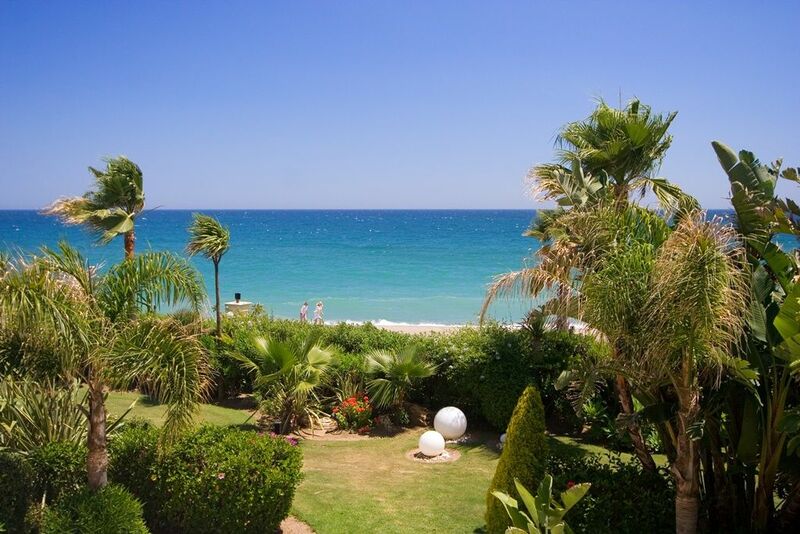 Costa Del Sol properties are of the kind that have a magical effect. 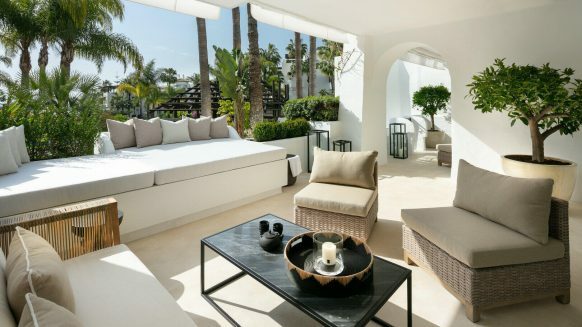 The sun, the fun and the beaches all hail this stretch of Spanish coast as the perfect spot for a holiday or retirement home. 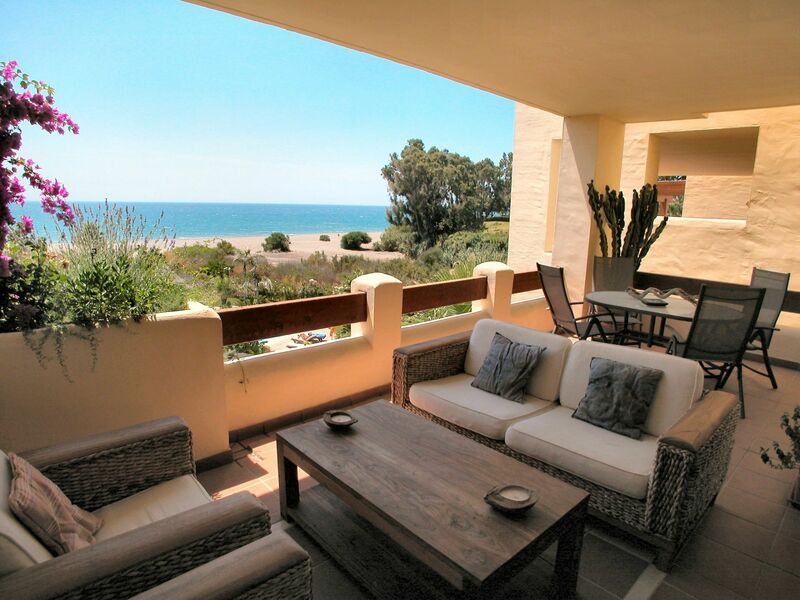 And what’s better than a Costa Del Sol property with a sea view? 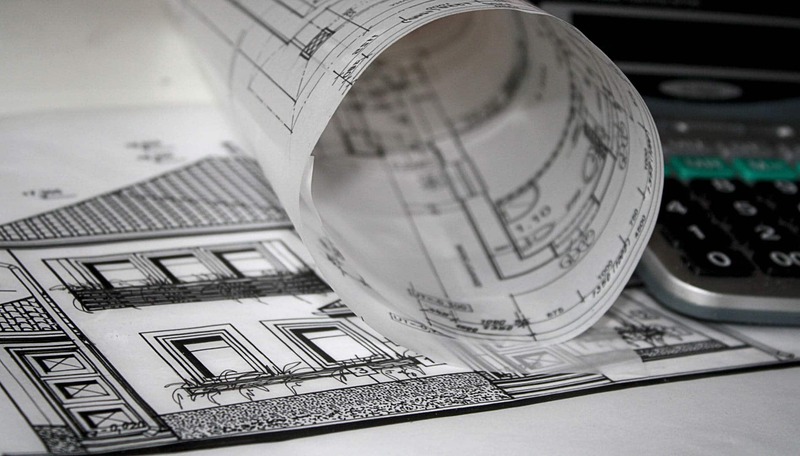 After seeing these 5 amazing homes, I think you’ll agree on one answer: nothing. 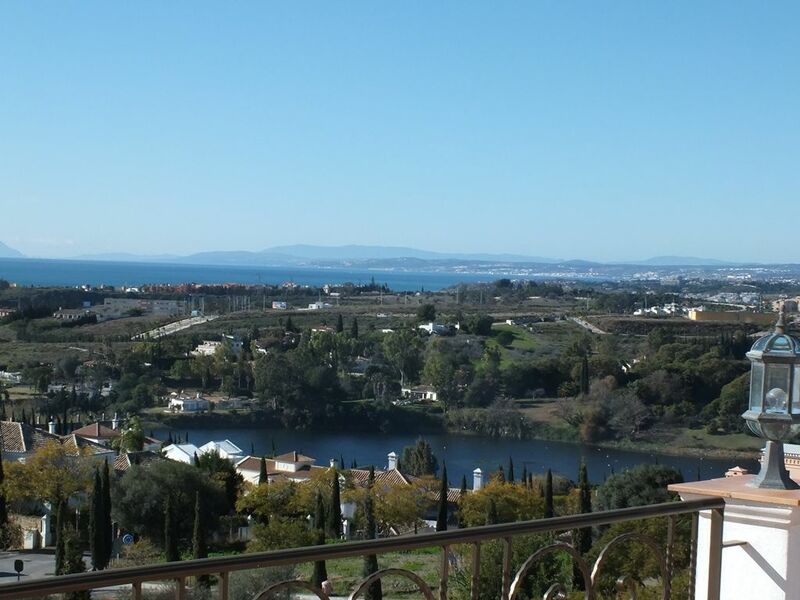 A castle with a view, that’s what this Costa del Sol property for sale in Spain with sea view can be called. 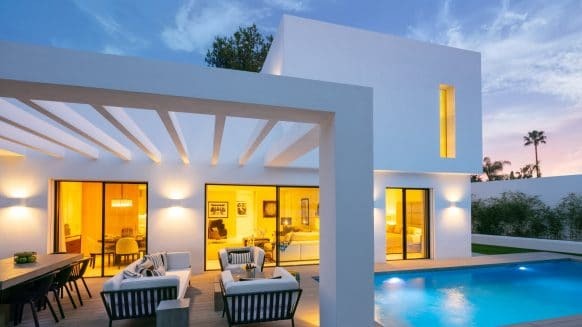 If you’re not impressed by its majestic pillar-studded look with patios and terraces, then the panoramic view you have from its windows will do the trick. And you can enjoy that view everywhere. 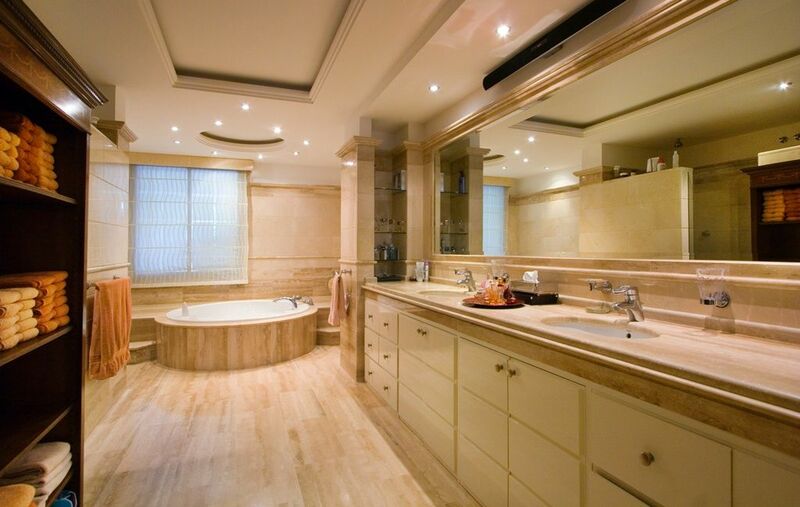 Whether you’re sitting in your living room or in your Jacuzzi, this beautiful vista is all around you. 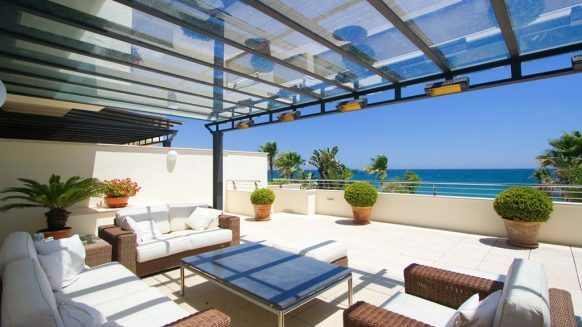 This penthouse offers that classic sea view from your very own pool. 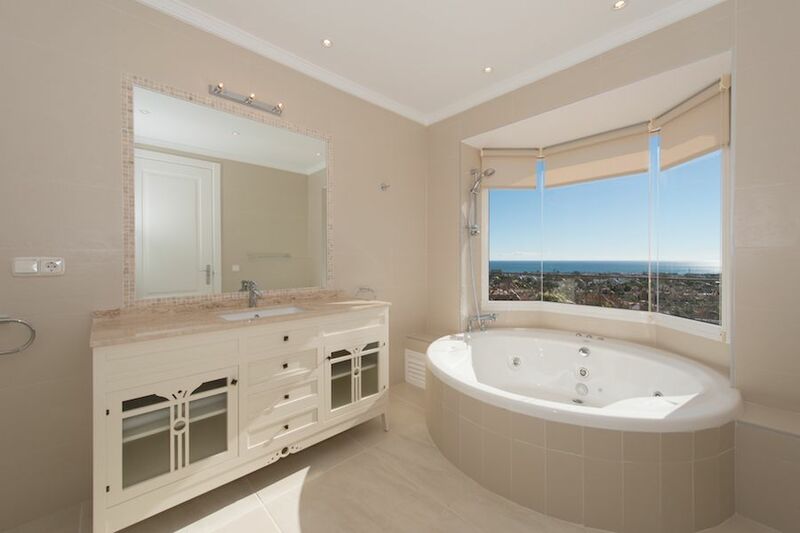 But there are more ways to enjoy the view in this penthouse. 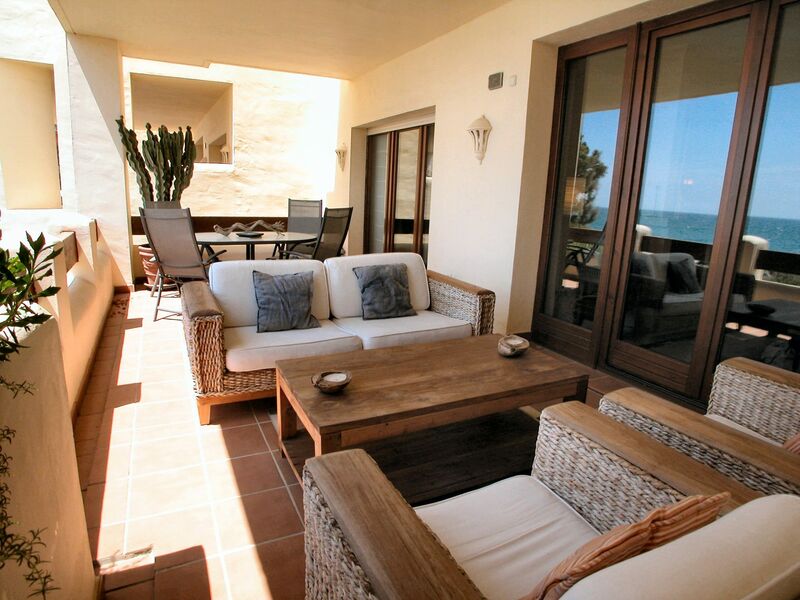 With an outside terrace as luxurious as this one, you’ll never want to leave it. 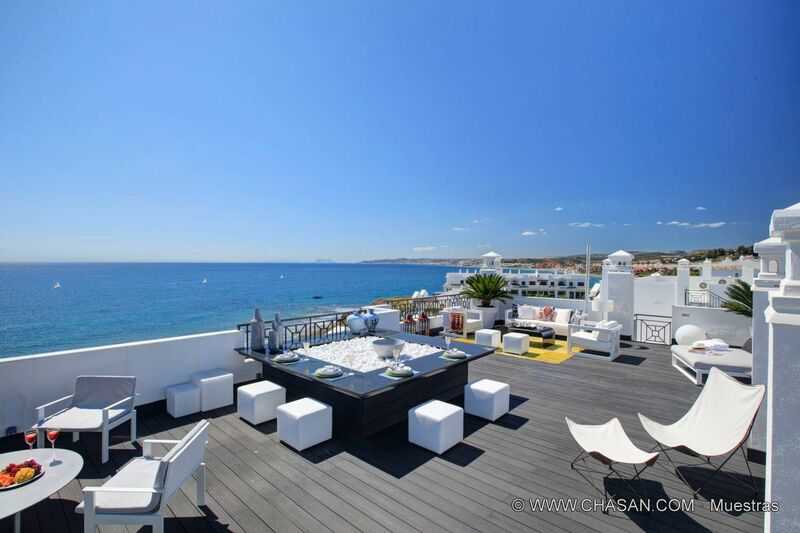 There’s a rare and stylish spot to eat your dinner whilst overlooking the sea. 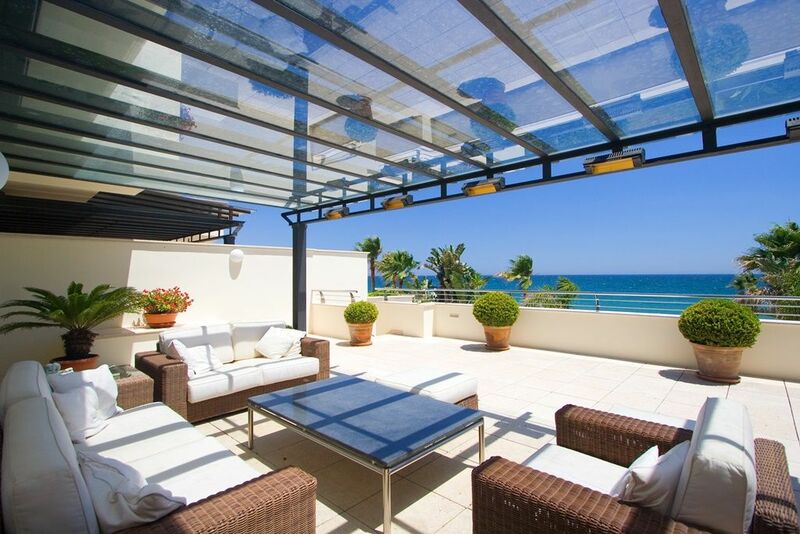 There’s a covered lounge bed to nap or read with the sea breeze cooling you down. 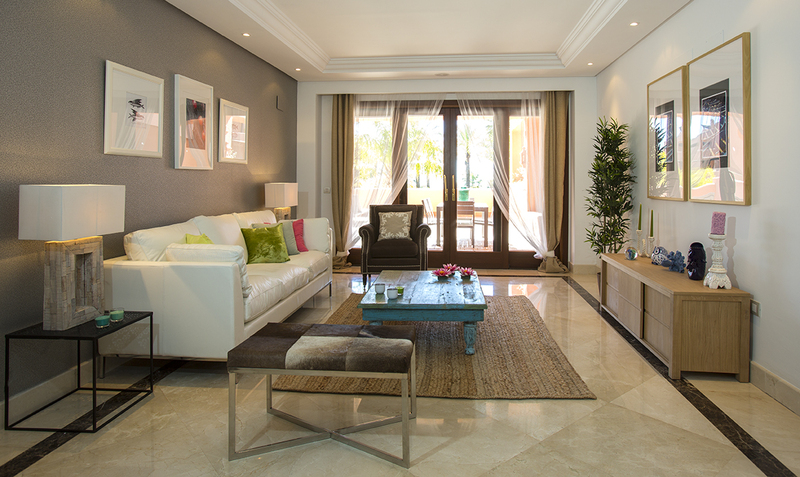 And even though it’s part of a complex of Costa Del Sol properties, there’s still plenty of privacy to be found. 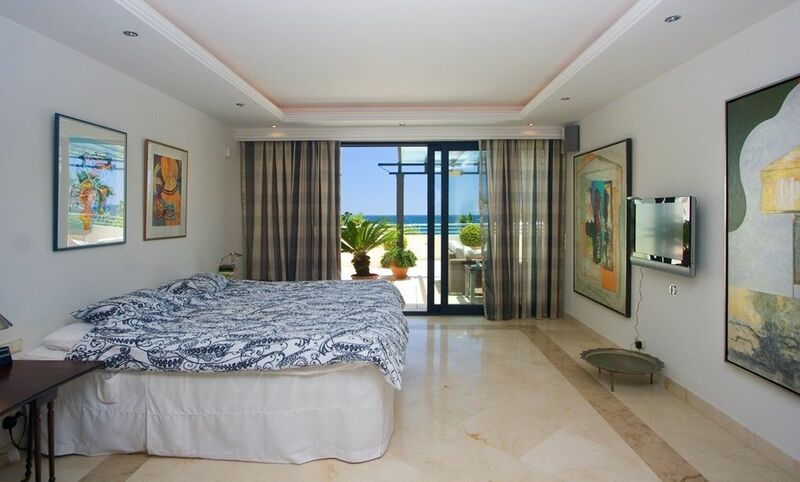 When you do turn in for the night, the next morning after opening the curtains you’ll be greeted by… exactly, the sea. 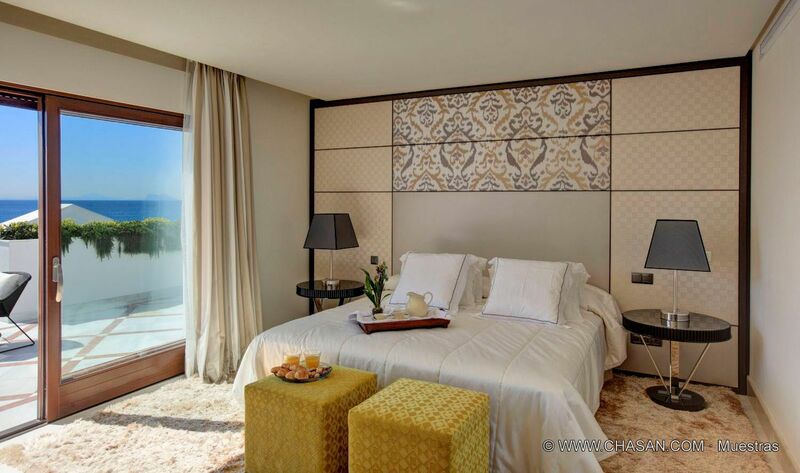 This gorgeous villa comes not only with a sea view but also a mountain view. After a dip in your private pool, grab a drink and enjoy the immense panorama from your very own backyard. Not enough for you? 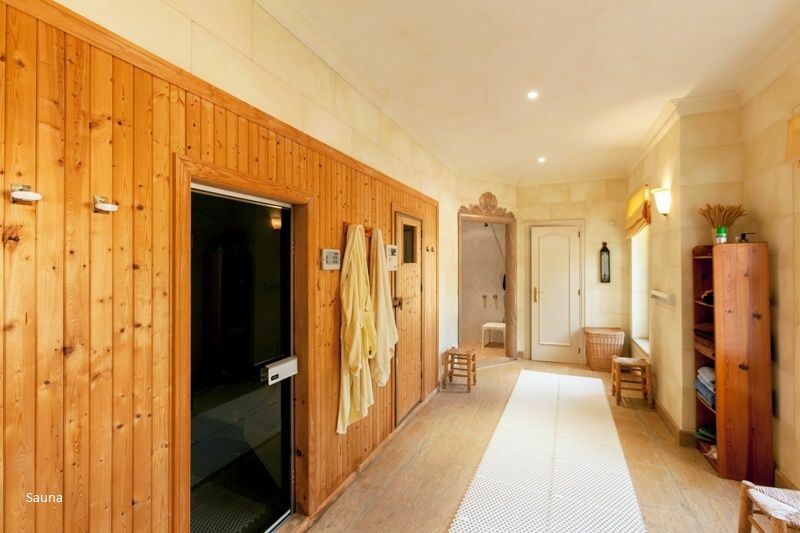 Try the Jacuzzi, gym, steam room, Turkish bath or sauna. There’s no denying you can relax here. 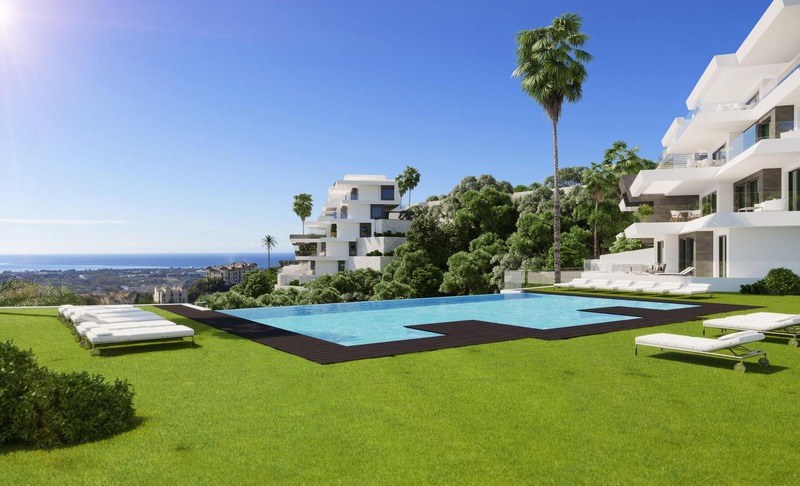 A truly unique property for sale in Spain with sea view. 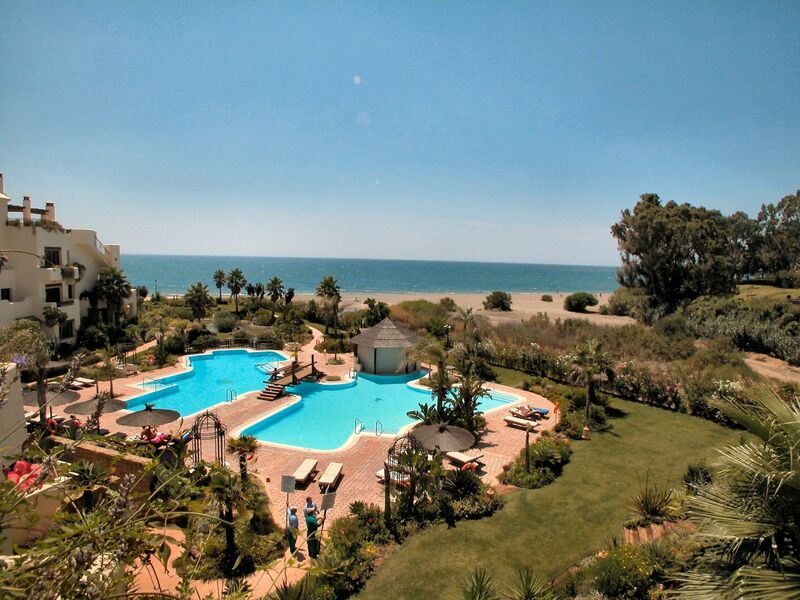 The place to live in Marbella is on the Golden Mile. 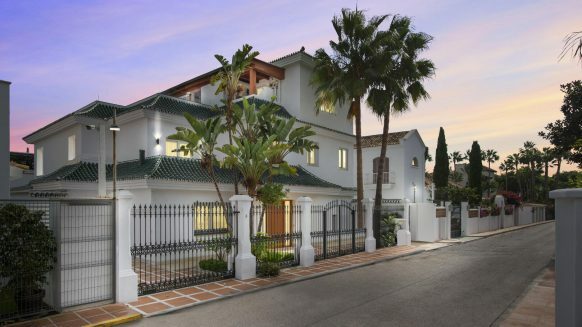 This stretch of land between Marbella and Puerto Banús is home to some of the most luxurious Costa del Sol properties in Marbella, such as the Palace of King Fahd and some landmark hotels. 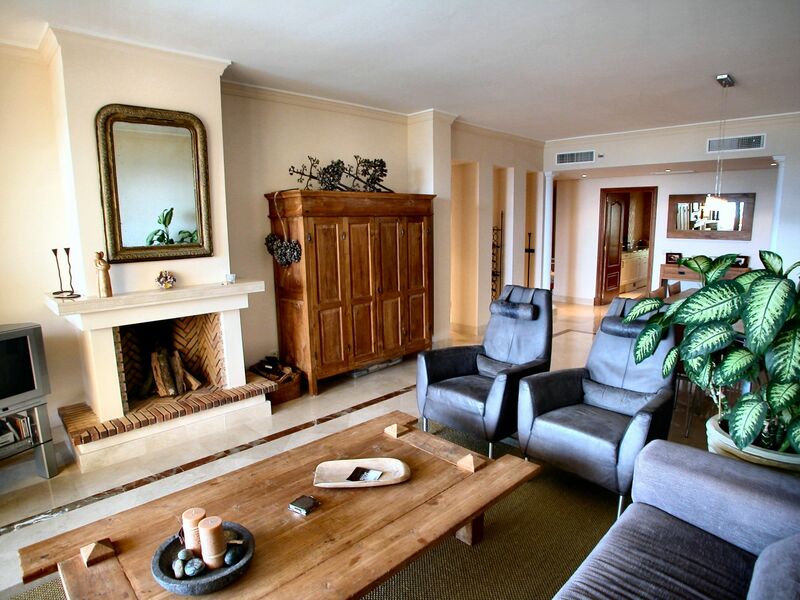 This beachfront duplex apartment boasts spectacular sea views from all around the house. 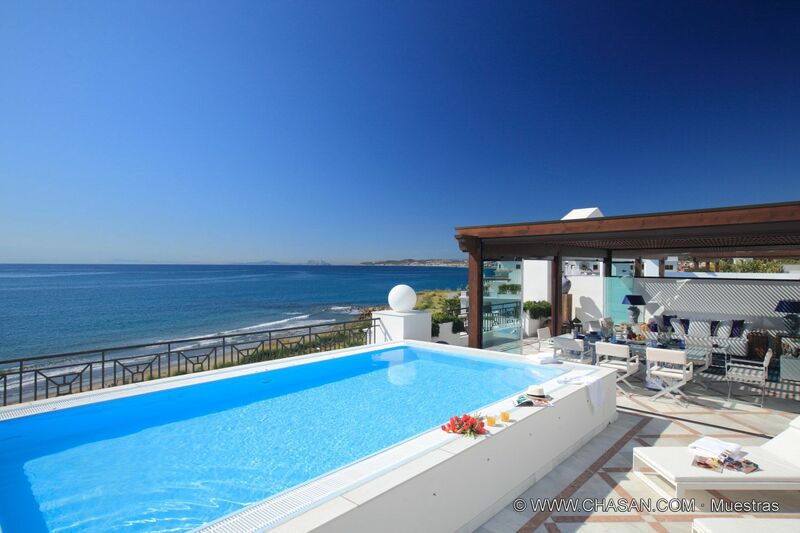 Have a swim in the sea during the day or enjoy the Mediterranean sea from your Jacuzzi after the sun has set. And despite the amazing view, the tasteful decoration of the house won’t make you feel bad about spending time indoors. It’s a win-win situation. 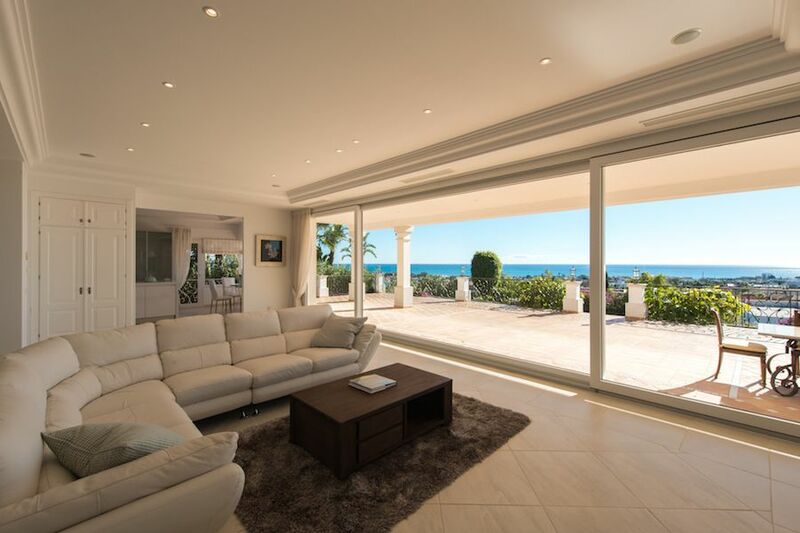 This fabulous and luxury front line Costa del Sol property in Estepona feels as warm and inviting as the Spanish sun itself. Intimate but spacious, this is a welcoming home to all. 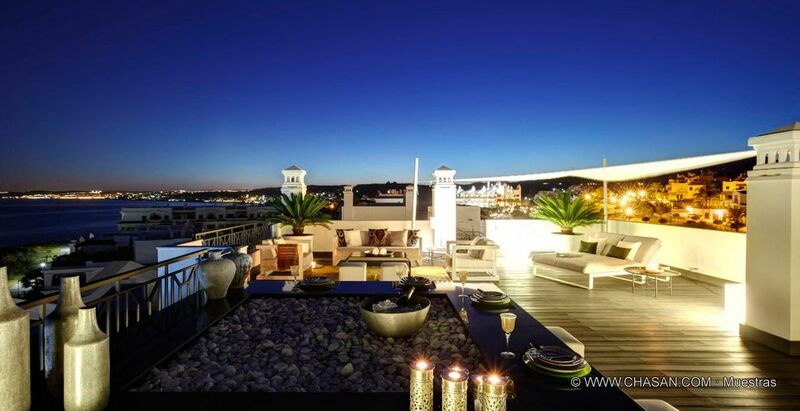 Enjoy a lush view of the pool and sea from your own terrace when having dinner outside. Or start strolling through the tropical gardens of the community and end up digging your toes in the sand at the beach. A wonderful place to spend your days. 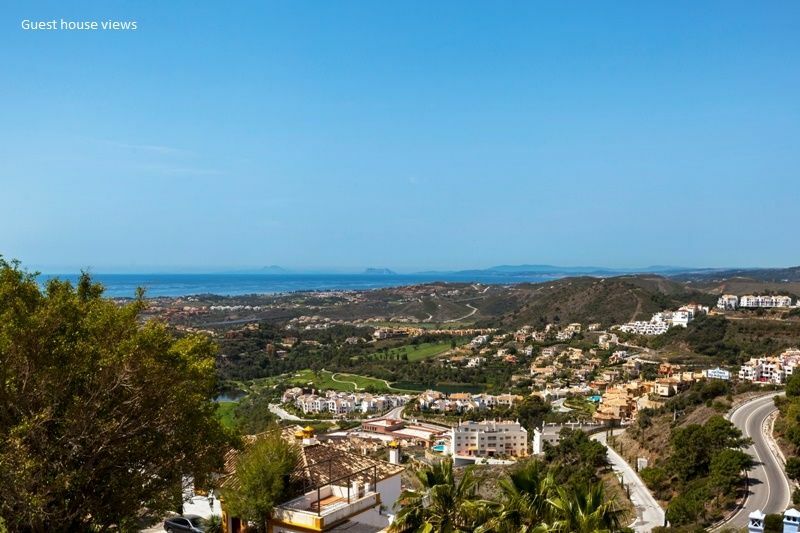 Are you looking for a property for sale in Spain with sea view? 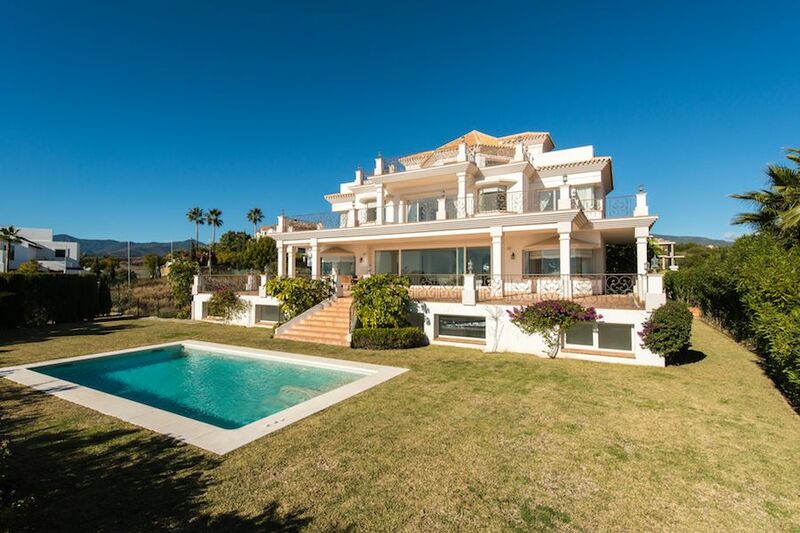 Have a browse here for some of the best Costa del Sol properties around Marbella.